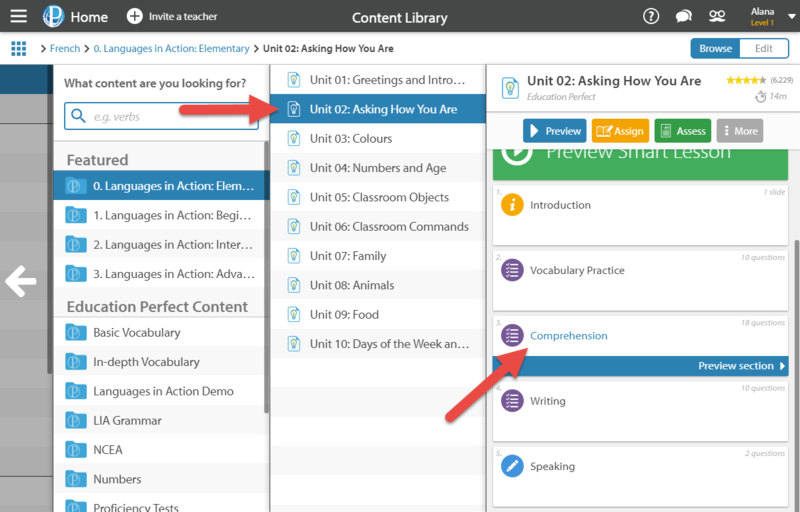 How do I find the Listening Comprehension resources? Education Perfect have developed resources with over 300 extended listening comprehension exercises across French, German, Spanish, Japanese, Indonesian, Italian, Chinese and Māori. Navigate to the Content Library from your Control Panel. 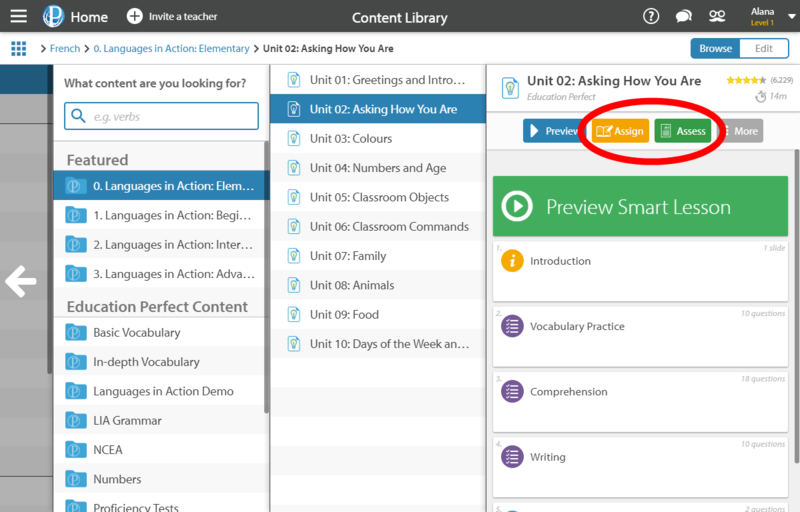 Click on one of the languages where Languages in Action is available (French, German, Spanish, Japanese, Indonesian, Italian, Chinese and Māori), and choose one of the Languages in Action modules (Elementary, Beginner, Intermediate or Advanced). Select the unit you are interested in. The listening activities will be in the Comprehension section of the lesson. 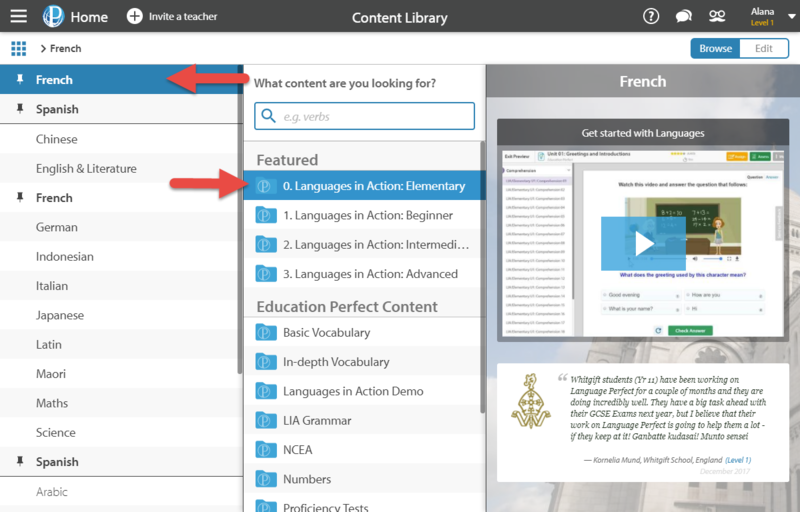 During the roll-out of Languages in Action 2.0, some courses such as French Beginner may have a full folder of Listening activities instead of a single section of a Smart Lesson. Click Assign to set this for your students as a homework or in-class activity, or click Assess to create a quick test based on this lesson. Once the student has finished their task or assessment, you can track their progress and get in-depth data on their individual achievements and needs.